Two full tuition scholarships to Westminster College have been named for G. Robert Muehlhauser in recognition of his dedicated service to Westminster. Muehlhauser,’68, from Pleasanton, CA was Chair of the Westminster Board of Trustees from 2011-2013 and has been a Trustee since 2000. 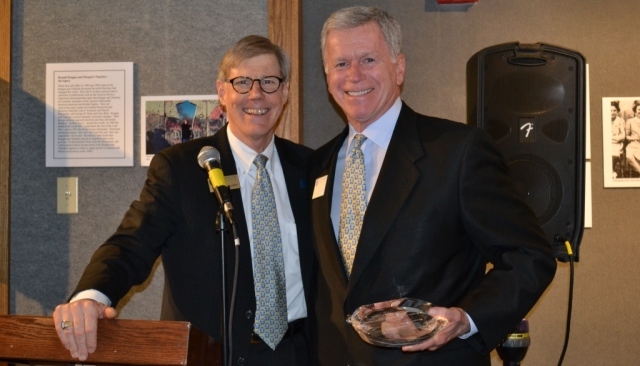 In April 2013,the Coulter Foundation presented Westminster College with a one million dollar gift in recognition of the invaluable counsel Muehlhauser has provided to the Coulter Foundation since its inception in 1998 and his devoted service to Westminster College. To be eligible for The G. Robert Muehlhauser Award for Excellence, prospective students must register to attend one of two Scholarship/Leadership Days on campus by February 15, 2015. Scholarship/Leadership Days are held February 21, 2015, and March 7, 2015. Those interested in attending can register at the College website or by calling 1-800-888-9266.